Bookkeeper Interview Questions – What to ask | Accounting Questions, Tax Tips, Personal Finance Topics and More! 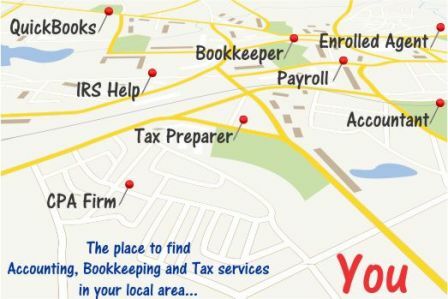 Your small business is ready to hire a bookkeeper. What’s the next step? Whether you interview in person or on the phone, have your questions ready. The bookkeeper will likely be interviewing you and gauging your preparedness and business acumen. A good bookkeeper interview is a give and take process. Ken Reid of MasterType Accounting & Business Services, P.C. in Chicago shares his tips and the questions to ask. Ken: Do you know how to determine which bookkeeper is best for your business? Business owners tend to place a lot of emphasis on how much the bookkeeper will charge. The Bookkeeper Interview Questions outlined below are designed help you determine value during the interview process! 1. Does the bookkeeper also have accounting knowledge? Not all bookkeepers have the same skill sets. Depending on your needs, a bookkeeper with knowledge of accounting principals, one who understands the difference between debits and credits, can be a huge plus. Ask accounting-related questions to test the knowledge of the applicant. 2. What types of industry experience does the bookkeeper have? Many bookkeepers work with any and all types of businesses. This should be a consideration if the business is in an industry that has special requirements or specific nuances. 3. How many clients does the bookkeeper have? A bookkeeper with too few clients may be an indication that they don’t have much experience. On the other hand, if a bookkeeper has many clients, the bookkeeper may not be able to handle the additional workload created by taking on a new client. When interviewing, ask about their schedule and what you can expect of their time allotment for your work. 4. Does the bookkeeping firm have employees to help with the workload? Ask your potential bookkeeper if they have employees that work with them, or if they have trusted associates that can step in and help out in case of an emergency (such as illness, natural disaster, etc.). Inquire as to the skill level of those employees as well. 5. How does the bookkeeper perform the work? Some bookkeepers go to the client’s office to do the work, other only work from their own office and remotely access client files. Are you comfortable allowing your documents to leave your office, or do you require the bookkeeping work be done at your office? 6. Who will keep the accounting/bookkeeping records? Will the bookkeeper be responsible for keeping all accounting and bookkeeping software records or will you store them? Allowing the bookkeeper to keep the records can be more cost effective – your business does not have to purchase software. However, keeping the records at the business location can be advantageous when it comes to printing and accessing reports. It can also add a layer of document security. 7. If the bookkeeper keeps the accounting/bookkeeping records, who ultimately owns the records? If the bookkeeper owns the software, he or she is not required to provide the business owner with a backup of the data file. The bookkeeper is, however, required to provide the business owner with appropriate paper reports (such as a trial balance, general ledger, etc.). If the business owner owns the data file and provides a copy or backup of the data file to the bookkeeper, then the business owns the data, and the bookkeeper is required to provide the latest backup of that data file to the business owner. This particular topic has created a lot of debate over the last couple of years because so much work is now done over the internet, and a lot of accounting and bookkeeping software is “hosted” on the internet. 8. How much experience should a bookkeeper have? The more experience a bookkeeper has, especially working with businesses similar to yours, the better. However, you should also consider how much experience the bookkeeper has using the accounting software used in your business (such as QuickBooks). If you do not have accounting softwares, you should ask the bookkeeper how they intend to keep your books, what applications or software they will be using, especially if you plan to implement a system in the future. 9. How will the bookkeeper deal with and handle special or unforeseen situations ? Such situations can be natural disasters, fire, flood, illness, death of a key employee. How the bookkeeper will handle such a situation can tell you a lot about the bookkeeper, and whether or not the bookkeeper is as experienced they are in disaster recovery. 10. Is the bookkeeper certified (Certified Bookkeeper) or certified in the accounting software they will be using? Ask to see the credentials of the bookkeeper, especially if the bookkeeper claims to be a Certified Bookkeeper or if the bookkeeper claims to be certified in a specific software (such as a Certified QuickBooks® ProAdvisor ). The bookkeeper should have these certifications posted in their office or readily available for your review and verification. The above 10 factors are not all inclusive, but should assist in interviewing a potential bookkeepers. While the cost is important, it should not be the only factor in deciding whether or not to hire one bookkeeper over another. If all things are equal between several bookkeepers, then the cost would become a more important factor in making the hiring decision. Kenneth Reid mentioned good questions. I specialize in fixing bookkeeping messes, which I see a lot. Another question should be ‘how much experience does the bookkeeper have in fixing bookkeeping messes?”.